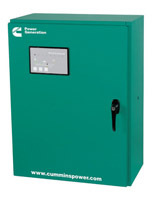 XMX Power offers a full line of power generation equipment by Cummins. We are the only factory trained and certified dealer for your local installation and service needs. We offer an experience second to none to full fill your backup power needs. Are you the customer that just wants it to work when you need it to work? We will take our time with your initial site visit to discuss your needs. We will not tell you what you want to hear but what you need to hear when making a decision on selecting an generator for your family. Once you are completely informed we will make a recommendation on the system that will give you years of reliable service. XMX will provide you with a "turn key" installation proposal & schedule any of your approved work in a timely manner. Send us your design parameters and we are happy to make a system recommendation for the project you are designing. We don't stop there, any question you have in design just call us or email and we will help answer all your questions. Would you like assistance in sizing the unit along with fuel supply engineering, we are happy to assist with this also. Need spec sheets or submittals to review to make sure your design is perfect, we will happily provide these for you. Yes we can help you land projects with one of the best brand's in the industry, CUMMINS! We offer sales and start up on the Cummins power generation line up on the island's of Kauai & Oahu. Would you like a little more assistance, we offer project consultations to lay you out with how to best install the system. Would you like to be able to offer your customers a maintenance contract on the system you install, just ask we can assist you crew or take care of this for you. Do I Need a Backup Power Source? HOMEOWNERS - What is important to you? Do you have a home you need power available even if the grid is out? Will your investment deteriorate if you are with out electricity for a short or prolonged period? BUSINESS OWNERS - Will you be able to take care of your customer needs if the grid goes out, could a power outage cost you hundreds of dollars if you are out of power for just an afternoon? VACATION RENTAL'S - If your guest's are out of power for an afternoon or worse overnight will they demand a major refund? Or worse yet, will they leave a good review? Probably not. What will a bad review cost you in future bookings? How Often is Kauai With Out Power? Do I really need a back up generator for my entire home, or is there another solution? This is a question we will address when we asses your personal need's. Are you planning for weekly outages present on the island and you want automatic power with out getting up out of your easy chair? 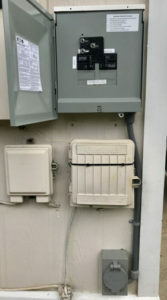 Then we offer an automatic transfer switch solution. How does this solution work. You Notice your Power is off in your easy chair. You wait 8 seconds in your easy chair. Your generator starts & power is back on. Are you just thinking ahead for the possibility of a hurricane? We offer a partial system solution. We can install a manual transfer system that you can then power from a portable gasoline powered unit. How does this work? Finally, you just flip a manual switch and your power is back on!!!! 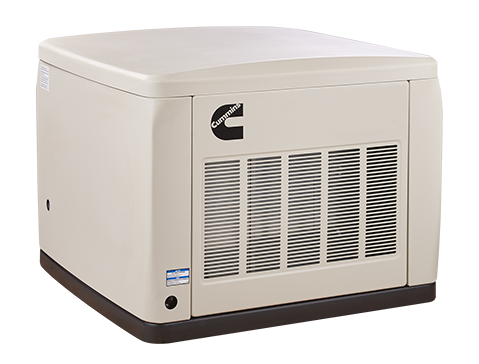 Experienced design, quality products, and unmatched workmanship go into every product by Cummins Power Generation. We have standard two-year warranties and up-to-five year parts, labor, and travel warranties available for long term protection. Did we mention we are factory certified? This means if there is an issue under warranty we take care of it. Can Maintenance Affect the Warranty of a Generator? Yes it can! Our base maintenance program will have our tech's examine your investment twice each year, we will exercise the unit in a loaded situation. We completely clean the unit and check all fluid levels on each visit, we will change the oil and any needed filters once each year or more often if your unit cycles often enough to log enough hours. We will also down load the latest software updates into your unit annually. When a power outage occurs, make sure your generator is fully operational and running thanks to preventative maintenance . By contracting XMX, we visit on a monthly, quarterly, or by-annually visit. Thanks to your diligence in the importance of preventative maintenance, the lifespan of your generator and its reliability is improved. Do I need a maintenance contract? XMX offers factory trained tech's to install and maintain your power generation system. Your spending hard earned money on a system that is a mechanical feature of your Business or home. We have seen systems run for a few years with no maintenance, but we highly recommend you take a preventive maintenance approach to your system. Would you buy a new car and never change the oil? on and send notifications to ensure your generator is available when you need it. PowerCommand Cloud™ brings together a flexible remote monitoring system, cloud-based data storage and transfer, and convenient, 24/7 access to your backup emergency power generator sets through easily accessible through mobile app and web browser. With PowerCommand Cloud™, you can rest assured your emergency backup power will be operation-ready when you need it, and your data is available whenever, wherever, thanks to our leading-edge cloud services. With it, you’ll have the peace of mind that your data and operations are safe and private on a trusted, secure platform. Call us Today for a Free Evaluation of Your Power Options.